FRANKFURT (Bloomberg) -- Continental AG, Europe’s second- largest auto-parts supplier, reported a first-half profit as rising car sales in China and the U.S. lifted demand for components. Net income was 349 million euros ($455 million), compared with a 457 million-euro loss a year earlier, the Hanover, Germany-based company said in an e-mailed statement today. First-half sales rose 40 percent to 12.7 billion euros. Continental, which is also Europe’s No. 2 maker of tires, aims to reorganize 8.2 billion euros of debt as it works toward merging with majority shareholder Schaeffler Group. The parts supplier returned to profit in the first quarter after cutting thousands of jobs and reducing spending on development projects. 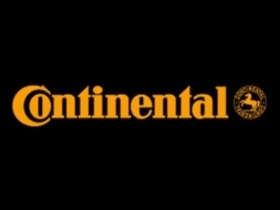 “Continental is well on its way to emerging from the crisis stronger than before, as demonstrated by the successes achieved in operations,” Chief Executive Officer Elmar Degenhart said in the statement. Continental forecast July 2 that sales may rise about 15 percent this year and said the margin on earnings before interest and taxes, adjusted for one-time effects, would be between 8 percent and 8.5 percent. The company agreed with banks in December on a 2.5 billion- euro loan and sold shares worth 1.1 billion euros in January. The funds are used to extend debt maturing in August for two more years. Earlier this month, Continental sold 750 million euros of five-year high-yield bonds. Continental’s debt stems from its 2007 purchase of Siemens AG’s VDO auto-component business. Schaeffler, the world’s second-biggest maker of roller- bearings, will be “ready” late next year to begin a merger with Continental, Chief Executive Officer Juergen Geissinger said July 27. The company is weighed down by about 12 billion euros of debt from acquiring a 75 percent stake in Continental.